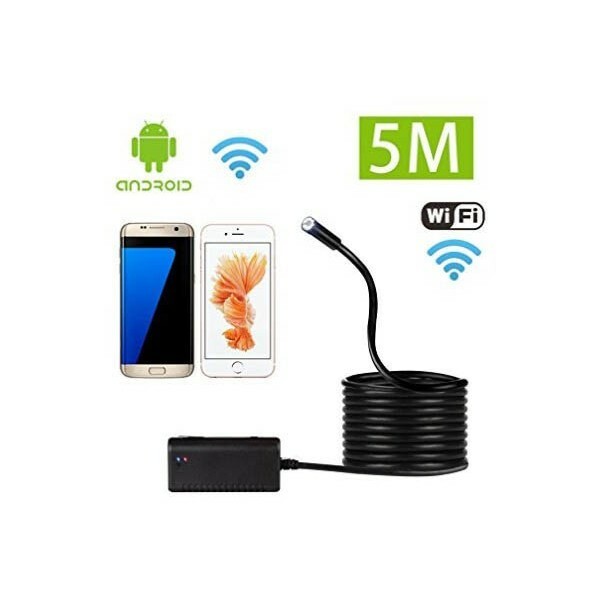 This endoscope will allow you to see in narrow places, the external camera is high definition. 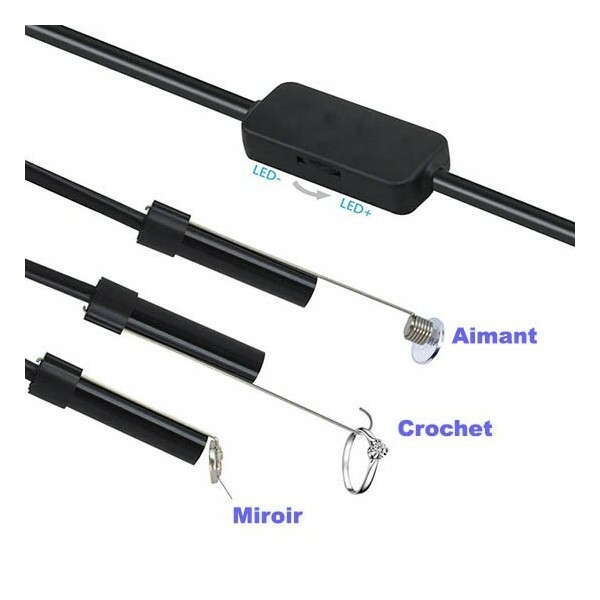 Supplied with three heads: magnet, hook and mirror. Designed to recover the lost treasures, this USB endoscopic camera allows you to finally see by yourself in the slightest corner. And that's how we find his car keys under a closet! 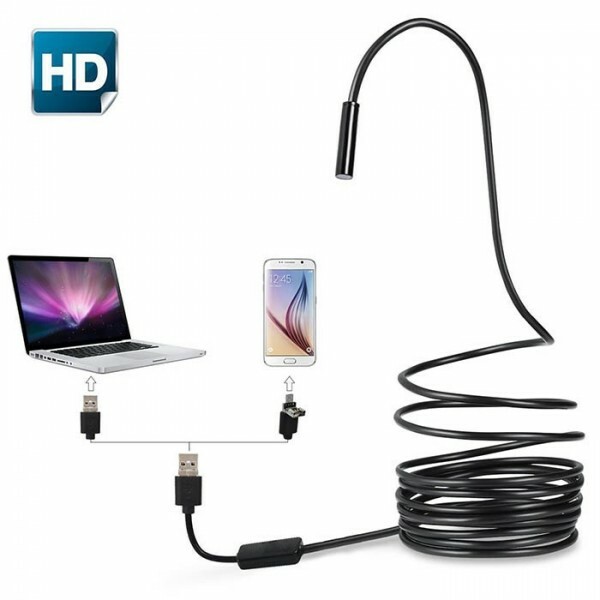 The advantage of this product is that you can see live shots on your smartphone or Android tablet without having to go back to your desktop. 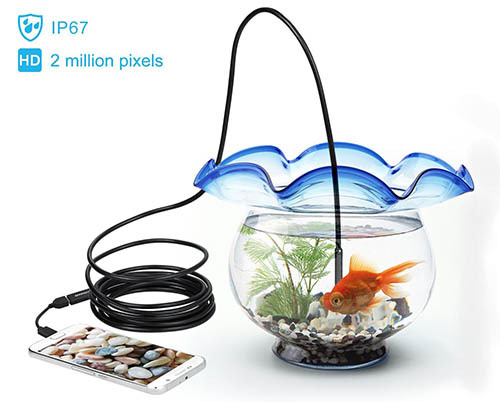 Simply connect the camera to your phone or tablet. The backpack is completely waterproof, no longer worrying about the risk of wetting your documents or your computer. The rain can not seep inside the backpack. The backpack offers several compartments to optimize the storage, protection and access of your belongings. 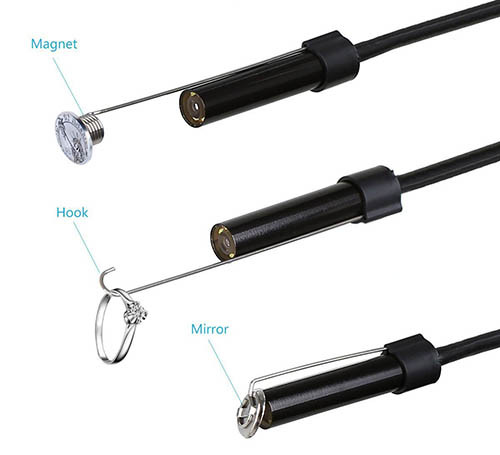 Finishes the glasses that are likely to be damaged at the bottom of your bag, your bottle back that risks opening, your documents that risk wrinkling. A USB output also allows you to plug your backup battery into your bag and charge your phone without taking your battery back from your bag. With all its practical features this backpack is definitely the best backpack that you can acquire. Finish the time when your glasses are likely to be damaged at the bottom of your bag, your bottle of water that risks to open at anytime, your documents that risk to get damaged. A USB output also allows you to plug your powerbank into your bag and charge your phone without taking your battery back from your bag.